In 2007, at the age of 23, Barrington Irving became the youngest person and first black pilot to fly around the globe solo. He then set his mind to a new goal. Through his educational nonprofit Experience Aviation, Irving began to imagine a way to give kids an opportunity to see the world, too. Along the way, he’d interview stunt pilots, video game designers, and toad wranglers to make science and math more fun and relatable. “It’s a magic school bus,” he said. So that’s the logo I made. 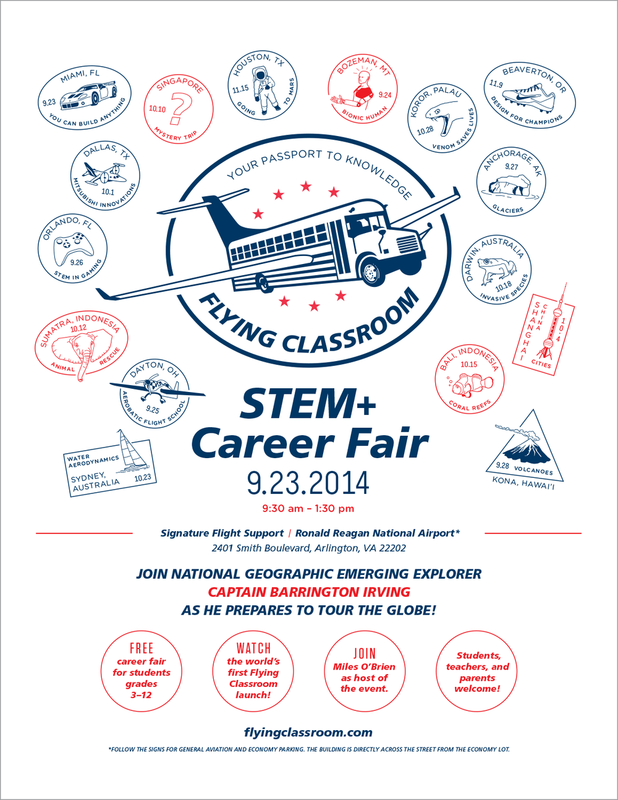 In 2014, the Flying Classroom took off on its maiden voyage. Schoolchildren around the US followed Irving online as he raced dogsleds in Alaska, climbed super-tall skyscrapers in China, and swam with sea snakes in the South Pacific. I created a set of passport stamps for the 16 lessons along his route. 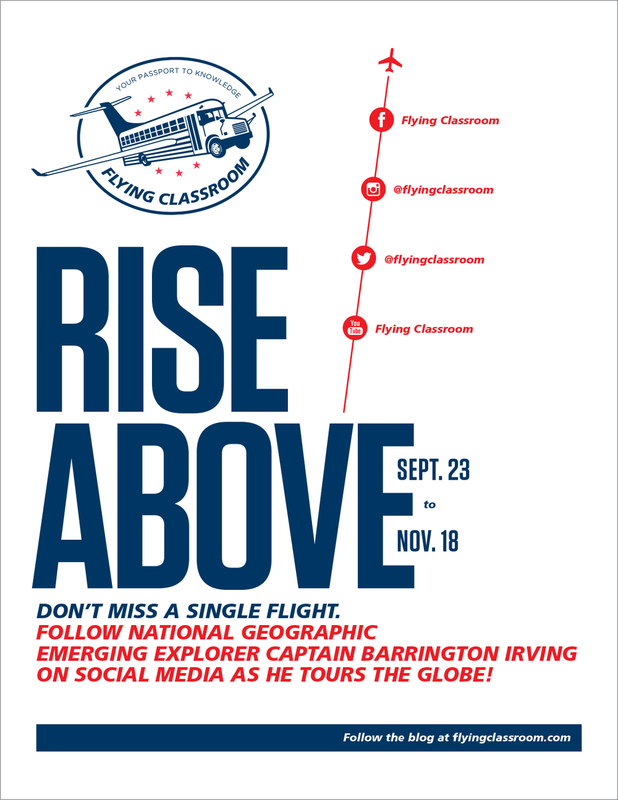 The full identity system included event flyers, info sheets, fundraising brochures, business cards, stationery, postcards, a blog, and an interactive classroom poster for students to follow Captain Irving as he toured the globe.